A team formed of 18 students from the respective four colleges at the National Chung Hsing University (NCHU) found that by using endophyte that decomposes dioxin, plants would not only accumulate dioxin, but could facilitate normal growing in the dioxin soiled environment. 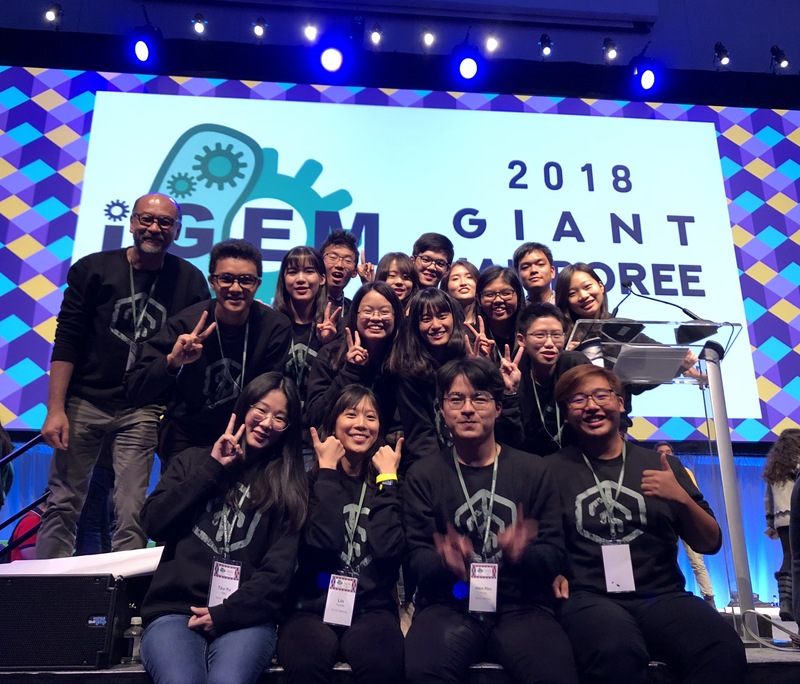 Recently, this team won the gold medal in the Massachusetts Institute of Technology (MIT) iGEM International Genetic Engine ering Machine Design Competition. Professor Chieh-Chen Huang（黃介辰） at the Department of Life Sciences, NCHU and Professor Hui-Min David Wang（王惠民） at the Institute of Medical Sciences, NCHU and Assistant Professor Yu-Ting Chen（陳玉婷） at the Institute of Genomics and Bioinformatics, NCHU led the MIT competition team for the first time. This year, under the theme, “Engineered Endophyte-Assistant Phytoremediation”, synthetic biology technology is used for transformation of endophyte, so that when transformed, endophyte mixed plants becomes a highly effective dioxin decomposition and phytoremediation system. In addition to proving that the plants with dioxin-dissolving endophyte would not accumulate dioxin but also can also facilitate normal growth of plants in the dioxin filled soil. In future, it can be directly applied or transferred to a production strain that could not decompose dioxin, and this would be deemed helpful to solve the serious problem of dioxin pollution.